At Groby Landscapes we don’t only provide garden design and landscaping services but also a great knowledge of tips when it comes to overall gardening. Here’s some reasons why during the cold winter you may want to start thinking about your garden in spring. When the cold winter winds start to blow, it’s tempting for even an avid gardener to pack it in for the season and take a well deserved break. While there’s certainly nothing wrong with that, winter can also be the perfect time to plan and even carry out many tasks to prepare for your upcoming spring garden. 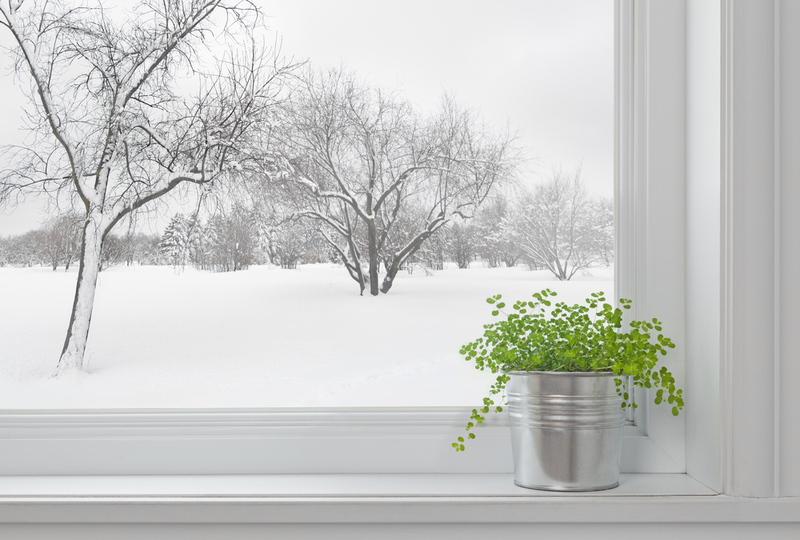 The following winter garden to-do list and advise was compiled with the goal of making your transition into the sometimes frantic spring season a little less hectic. Depending on what your climate is typically like, you might find some of these tips to be useful. It’s a good idea to remove any plant residue left over from the last season, unless of course you maintain cold-hardy overwintering vegetables, like kale or cabbage. This dead plant debris needs to be discarded somewhere a considerable distance from the garden plot, and definitely not in your compost pile. This will minimize the risk of re-introducing weed seeds and any lingering plant diseases. Put a thick blanket of mulch over any perennial plants like asparagus, strawberries, and rhubarb, after first applying a generous layer of compost/aged-manure to their beds. If you haven’t already done so, this is a good time to make the switch to a no-till garden. With the judicious use of winter cover crops and bare-ground mulches such as shredded leaves or straw, you will promote healthy, soil enhancing mycorrhizal and earthworm activity in your garden. Order, or check out seed catalogues online to get your spring garden seedlings going by late winter. Before you order, be sure to have a general garden plan in place, and once you receive the seeds, test a few of each for germination viability. It’s a good rule of thumb to plant your indoor seed starts at least 4-6 weeks before your area’s last average frost date. Save all your kitchen scraps ( except any animal-based waste) and store it for eventual composting in a large bin or trash can in a remote area of your property that doesn’t freeze, like a basement or heated garage. You can mitigate the smell by sprinkling baking soda or charcoal/wood ashes on top. Make note of all the invasive weeds and problem insects you dealt with in the past season, and make plans to halt their return. Crops that are prime targets for these insect pests benefit greatly from the planting of companion protector plants. Knowing the life-cycle of plant-killing bugs will give you an idea how to time your plantings out to avoid their arrival. Noxious weeds can be dealt with quite effectively once they emerge by using a smothering layer of mulch. Weather permitting, winter can be a great time to deal with problem root growth around foundations and under paving stones. The soil is usually not soggy, and roots pull up much easier than in the growing season. Late winter is also prime time to prune certain fruit trees, berry bushes, and vine crops. Even if you don’t need to perform these tasks, the tools related to them and all other garden implements should be thoroughly cleaned and stored properly for future use. Be careful not to be fooled by the first warm days of late winter! If uncovered too early and not properly protected, plants like strawberries can be severely damaged or even killed by just one overnight freeze. Another mistake is to rush delicate seedlings into the garden before the soil has had chance to fully warm up. Having a general idea of what you want from your garden, and what problems to avoid next spring is essential for the prudent gardener. Hopefully, with the timely use of any or all these pointers, your next year’s garden experience will be a pleasant and bountiful one!